While saving money by not availing the services of a plumber may seem the best idea, there are times when you’re unable to determine the severity of the problem. You end up trying to fix it on your own, which makes the problem worse. Here are a few problems that may occur in your home’s plumbing system that should always be taken care of by a professional plumber! This apparently simple problem may lead to bigger issues over time if it isn’t addressed properly. It’s very tempting to want to fix this issue yourself, especially if the low water pressure is getting in the way of your relaxing morning shower. However, there can be plenty of reasons for this plumbing issue. There’s never only one fix; you’ll have to call in a plumber, who’ll assess your plumbing system’s water pressure and take the appropriate steps to fix the low water pressure. If your water heater unit seems faulty, it’s recommended to leave that job for the professionals. Repairing an electric or gas water heater unit yourself can leave you with more problems than you initially had. This will end up raising your repair costs when you ultimately call the plumber to fix the issue. Keeping in mind that, engaging in repairs of things you know nothing about, can be very dangerous—particularly when the issue involves, hot water, gas, and electricity. As is the case with repairing your water heater, it’s not recommended that you install a new heater unit on your own. This process can be dreary and it requires skilled expertise and knowledge for the correct execution. A professional plumber is aware of the correct supply lines to fit the water heater in. Huge water line damages are issues that can’t be fixed on your own. If you’ve noticed your pipes have some sort of damage, refrain from fixing this issue on your own. It’s possible that you might be putting your entire plumbing system at risk. Instead of fixing the problem on your own, contact a professional, without wasting your energy and time, and avoid costly repairs in the future. Homeowners in America have all experienced issues with clogged drains and toilets and the easiest solution is always to plunge the blockage out. However, if this doesn’t work, the problem could be more serious. Trying to solve issues like this on your own could result in additional damage to your neighboring entire plumbing system. We, at Your1Plumber, are a team of experienced and licensed plumbing contractors in Boca Raton, FL. 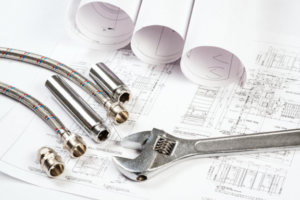 Over the years, we have helped residents of Boca Raton with all kinds of plumbing issues. Contact us to know more about the services we provide.